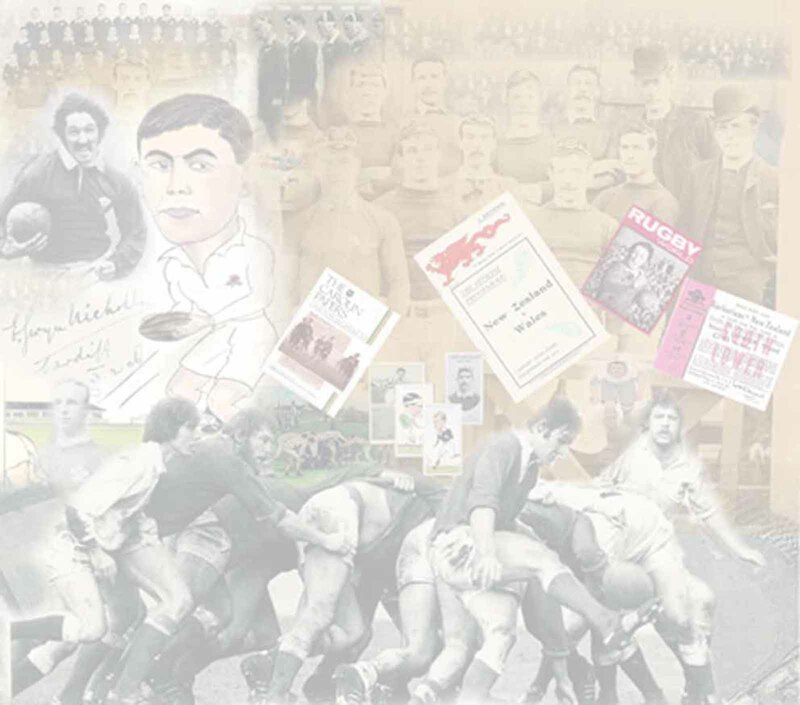 One of my favourite items of rugby memorabilia is the committee ribbon. It's an unusual item to collect, they weren't produced by every nation and even nations that issued them did so intermittently. But they do look good. I've a feeling that they may have been the predecessor to the enamel badge/pin. Certainly they were the forerunners of the NZ button badges with ribbon attached that were produced from the 1930s to 1970s. The earliest committee ribbon I've seen is one for the Wales v NZ Maoris 1888 match, a very delicate affair that resembles the modern rosette. Unfortunately I do not have a picture to illustrate it here. The reason for their existence I believe was to allow committee members access to all parts of a stadium. Rather than have stewards requiring the officials to produce a pass, the committee could parade their importance and strut the length and breadth of the stadium brandishing their ribbon like a peacock it's feathers.